He’s a photographer for National Geographic yet his photos are unlike any other wildlife photographers I’ve seen because of his beautiful combination of his subjects and fine art. From the strength of a simple, singular swan to a triangle formation of an elk gang, I’m completely blown away at the level that this photographer has taken his documenting and photographic process. 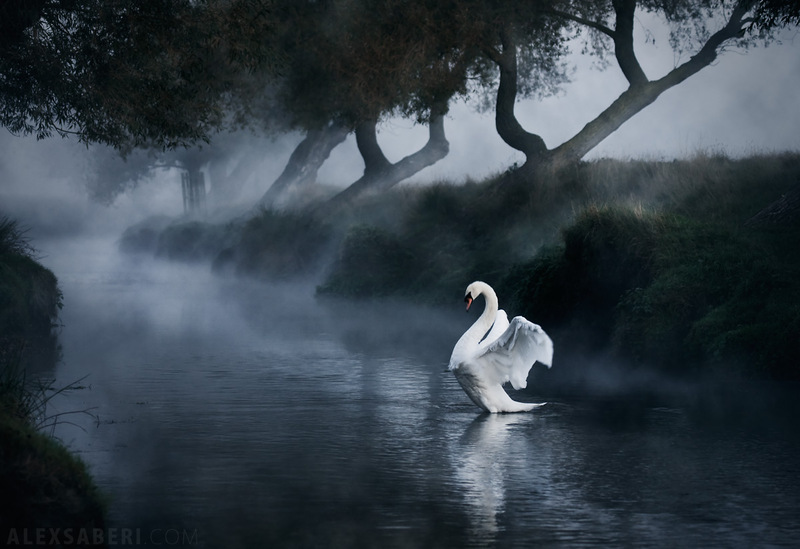 Today, I stand and salute London photographer, Alex Saberi. Alex is a National Geographic photographer from London that began photography as a hobby by taking photos in the royal Richmond Park in London. It is only recently that he has turned his hobby into a profession. And since then, he has appeared in many digital camera magazines and publications and recently won the Protection Agencys wildlife competition among many other competitions. “I currently shoot with the brilliant Canon 5d Mk111. Personally this incarnation of the 5D is perfect for my needs. They upped the frames per sec and the autofocus is now great. I always liked the quality from all the 5D’s. Be sure to check out more of Alex’s portfolio at . Beautiful photos. I love seeing amazing photography. It’s how I improve (albiet slowly!). If anything it gives us amazing inspiration!!! Oh my. Alex’s photos are so dreamy like, i thought those were paintings at first glance. Spectacular colors and composition. I totally agree, Alan. The swan on the pond is completely dreamy, couldn’t stop staring at that one! The photos convey a sense of peace unlike anything I can remember seeing in wildlife photography. In some of the photos, the animals are almost abstract. Thanks for sharing. Worded so beautifully, Jeff. Couldn’t agree more. I follow Alex on 500px and his work is awesome. great to see him get some fantastic recognition on a top website.